Everyone has that one friend; you know, the one with the coolest hair, most fun personality, and care-free attitude. Hey, maybe that person is you! If it is, then you will definitely find a kindred spirit in Umi. Umi is a Zebra and the lack of water in the savanna is affecting her entire herd. She teams up with Arturo and the rest of the gang to solve the problem. Just like Esteban el Elefante, Umi represents a letter in the alphabet. When I say that it was hard to find a name that started with U, I'm not joking. I resorted to looking through name lists on the internet. I found the name Umi, which is a unisex game and has various meanings, including life and energy. That is exactly what Umi brings to the table! She is vivacious, energetic, and a lot of fun. As with our other characters, Umi has undergone a few transformations. Usaid, one of our 3D modelers and consultants, designed this first version of Umi. I absolutely love her! She is just so cute. However, she looks very much like a baby. Umi needed to look more grown up. She also needed to be a little more realistic, so she could match the style of our other characters. 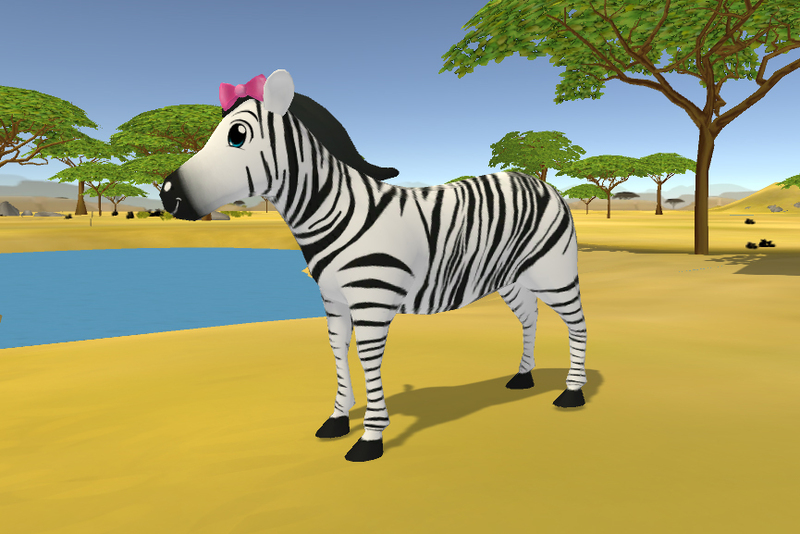 When Vincent, our Head 3D modeler optimized Umi, he made some changes to make her look more like a real zebra. Um from Learn Safari compared to a zebra. After the model was complete, it was Angie, one of our graphic designers, who had to make all of the textures for the model. 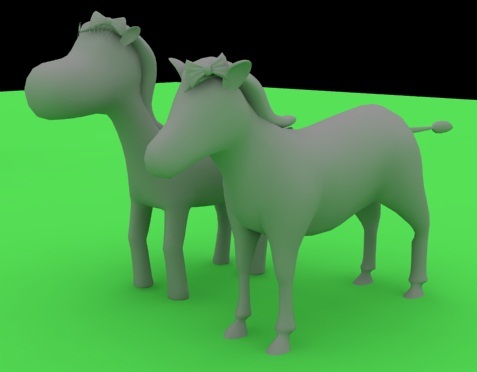 If you remember from a previous blog, a texture gives a model its color and detailed feature. Angie had a bit of a tough time making the Zebra pattern fit precisely. That wasn't the only difficulty with Umi. Thomas, our animator, then had to make sure Umi could walk and run (among other things). Being that she has 4 legs, she was a new kind of challenge for him. The hardwork, however, paid off in the end! What do you think of our girl? Let us know in the comments below!